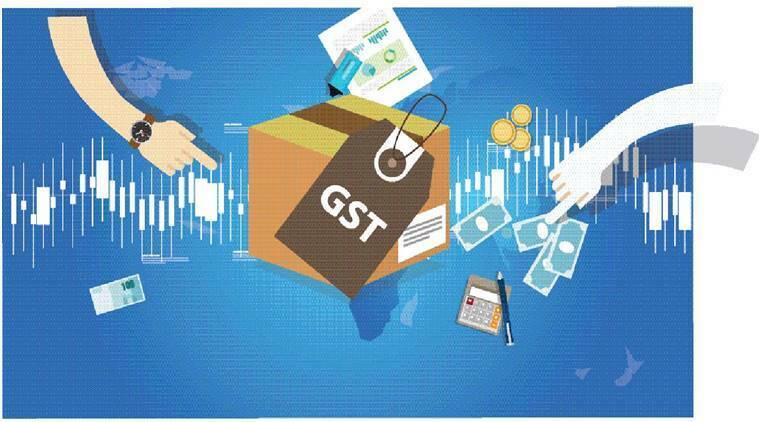 GST Day HIGHLIGHTS: The Goods and Services Tax, which was rolled out in the intervening night of June 30 and July 1, was aimed at simplifying the tax system by bringing together a slew of indirect taxes under it. The government is celebrating July 1 as ‘GST Day’ to mark the completion of a year of the indirect tax regime. The finance ministry said the introduction of GST transformed India into ‘one nation, one Tax’, binding the country into an economic union. 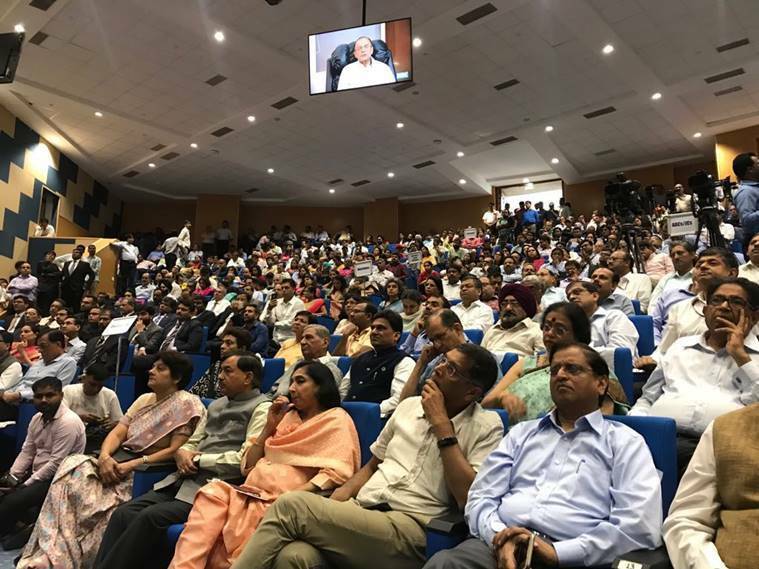 “The first year of GST has been an example to the world of the readiness of the Indian taxpayer to be a partner in this unprecedented reform of Indian taxation,” it said. 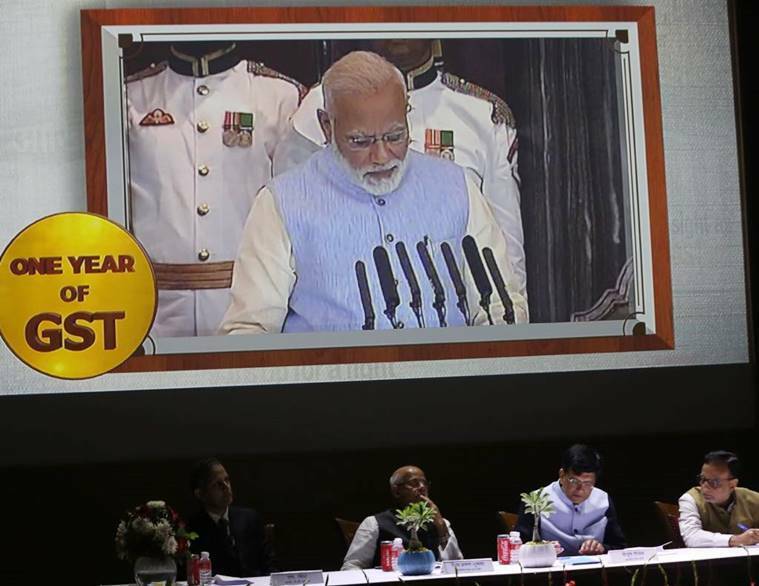 Prime Minister Narendra Modi hailed the completion of one year of GST on Twitter, saying that it has brought a positive change in the country’s economy and is an example of cooperative federalism in India. 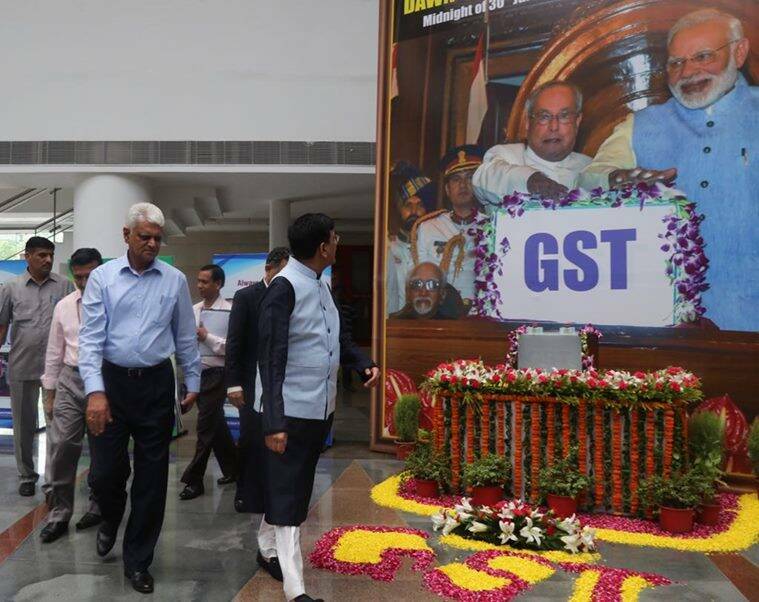 To mark GST’s anniversary, the finance ministry is holding an event which will be presided by Union Minister for Finance and Corporate Affairs Piyush Goyal and Minister of State for Finance Shri Shiv Pratap Shukla. Union Minister Arun Jaitley today dismissed the idea of a single GST slab being advocated by Congress President Rahul Gandhi as “flawed”, saying that it can only work in a country where the entire population has a similar and high capacity to spend. 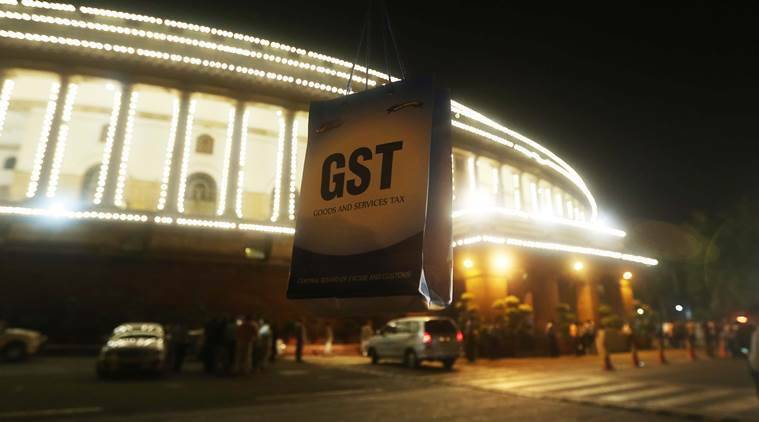 Union Minister Arun Jaitley on Sunday called GST a “monumental economic reform.” On the first anniversary of the implementation of the Goods and Services Tax (GST), Jaitley said the unified tax system has helped in boosting direct tax collections in the April-June quarter of this fiscal. 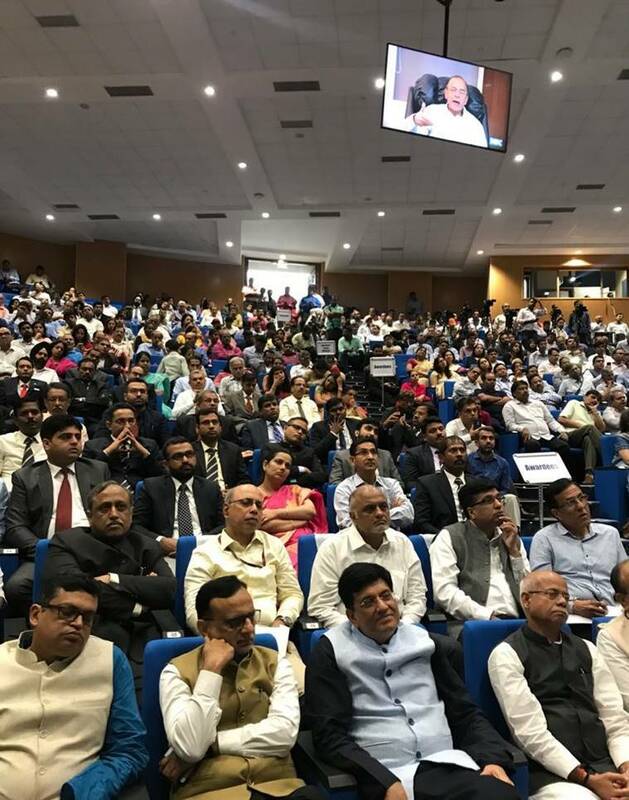 PM Modi said the Goods and Services Tax (GST) has within one year of its launch led to over 70 per cent jump in indirect taxpayer base, demolished check-posts and merged 17 taxes and 23 cesses into one single tax. "The new tax regime, has subsumed central levies like excise duty and service tax and state taxes like VAT, it is aimed at making indirect taxation 'simple' while Inspector Raj has been eliminated," he said, adding the GST is an evolving system which is calibrated based on feedback from state governments, trades and other stakeholders. Prime Minister Narendra Modi today ruled out a single tax rate under the GST, saying Mercedes car and milk cannot be taxed at the same rate and accepting Congress party's demand for a uniform 18 per cent rate would lead to a spike in food and essential items' taxation.Modi said, "It would have been very simple to have just one slab but it would have meant we could not have food items at zero per cent tax rate. Can we have milk and Mercedes at the same rate? ""So, when our friends in Congress say that they will have just one GST rate, they are effectively saying they will tax food items and commodities, which are currently at zero or 5 per cent, at 18 per cent," he said in an interview to 'Swarajya' magazine. Rahul Gandhi has been advocating a single slab GST for India. It is a flawed idea. A single slab GST can function only in those countries where the entire population has a similar and a higher level of paying capacity. Responding to P Chidambaram's claims that the implementation of GST was flawed, Piyush Goyal said, "There was no disruption and economic growth was not affected due to the implementation of GST. I would like to tell P Chidambaram that angoor khatte hain"
Union Minister Arun Jaitley addressed the media on the anniversary of GST today. "The implementation of the Goods and Services Tax as a single consolidated tax has had a significant impact even on direct taxes. Those who have disclosed a business turnover for the GST now find it difficult not to disclose their net income for the purposes of income tax," Arun Jaitley wrote in a post on Facebook. 1st July 2017 marked the introduction of #GST in India, a historic & game changer reform. #GSTAtOne year has resulted in increased formalisation and greater tax compliance. On this landmark day, I convey my best wishes to people, state governments & officials. Taking on the government for failing to make GST beneficial for the common man, P Chidambaram said, "The only section that appears to be happy about the GST is the tax administration that has acquired extraordinary powers that frighten the average business person and the common citizen." Chief Economic Advisor Arvind Subramanian who was closely involved in drafting the GST Act said that in an ideal system of the tax structure, the 28 per cent tax slab needs to be removed. "Today, we have GST rates of 0, 3 per cent (for gold), 5 per cent, 12 per cent, 18 per cent and 28 per cent. We need to rationalise but I think at the first instance the 28 per cent should go. I am saying that in an ideal system the 28 per cent rate has to go. The cesses may have to be there because we are going to have higher rates for some products, but there shouldn’t be multiple rates even here. In my report, we had called for one 18 per cent rate and then 40 per cent rate. Cesses are a different way of implementing the 40 per cent rate," he said to The Indian Express. Calling the tax structure unfair to small traders and business, the Congress, TMC and Left parties boycotted the launch. Former Prime Minister Singh was also sent an invitation but he declined. Opposition parties including the JD(U), the NCP, the BJD, the Samajwadi Party and Janata Dal (S) participated in the launch. The gems and jewellery industry is expecting the government to resolve few issues, including 3 per cent GST on gold import for export purpose, to give a boost to the industry as the new tax regime completes one year of rollout, PTI reported. Things are now better for the diamond sector with the 0.25 per cent GST. The only issue is with the import of gold for export purpose, he said. "The process is a bit cumbersome where the banks are charging us 3 per cent GST, for which we are getting reimbursement through input credit. But to make things easier, we are want it to be GST free. So far the government has been supportive and have resolved all our issues and we have been assured that this issue will also be considered," Shah said. 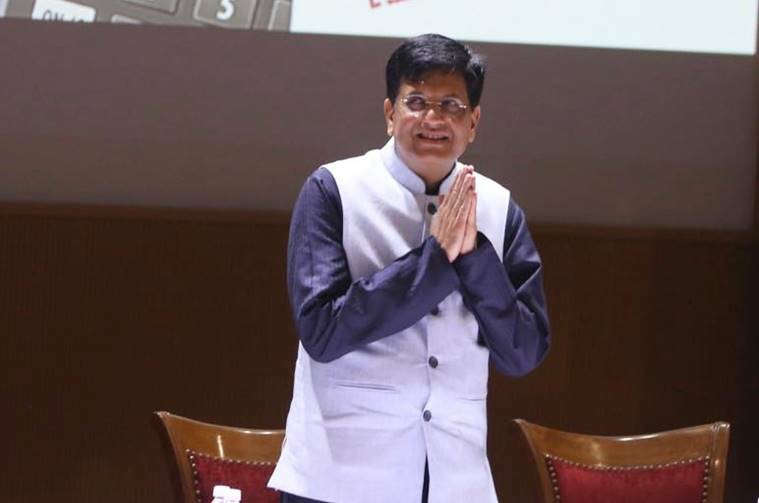 Union Minister Piyush Goyal on Saturday said that a telephone helpline number will be started soon, where consumers can report against those traders who evade tax by not issuing purchase bill. In the wake of rising fuel prices, experts have called for bringing petrol and diesel under GST. But the question stays whether this can help provide relief to customers. In December last year, former finance minister Arun Jaitley had told the Rajya Sabha that the Central government was in favour of bringing petroleum products under the ambit of GST after building a consensus with states. Oil Minister Dharmendra Pradhan has also backed the call to bring the two fuels under GST. The real estate sector finds itself in a peculiar position where they are getting input credits for some portions of the goods and services, but for the major component, there is no input credit. Thus, for land and government taxes, like development taxes etc, which form the major component of our expenditure, there is no input credit and we are not able to pass on the benefit to the end customer. The Goods and Services Tax, which was rolled out in the intervening night of June 30 and July 1, was aimed at simplifying the tax system by bringing together a slew of indirect taxes under it. Launched at a ceremony held in the Central Hall of Parliament, the tax reform completes a year today. The ministry has claimed that under GST, every minute detail of every item sold is being digitally uploaded in a central tax database for over eight million Indian businesses. However, the opposition has termed such statements as tall claims in the past and has been critical of the taxation reform. Meanwhile, the Finance Ministry has also acknowledged certain challenges that GST will pose, despite its “multiplier effect” on the economy. “A change as comprehensive as GST is bound to pose certain challenges not only for the government but also for the business community, tax administration and even common citizens of the country,” the ministry said.